Copyright © Robby Virus on Flickr. All rights reserved. Even though Margie is still on the sign, she is apparently long gone. However, the Merry-Go Round lives on serving Chinese, American, and Mexican food. If you’re like me, combinations three-deep usually are a big warning sign to stay away as most places like that can’t do one of those well much less three. 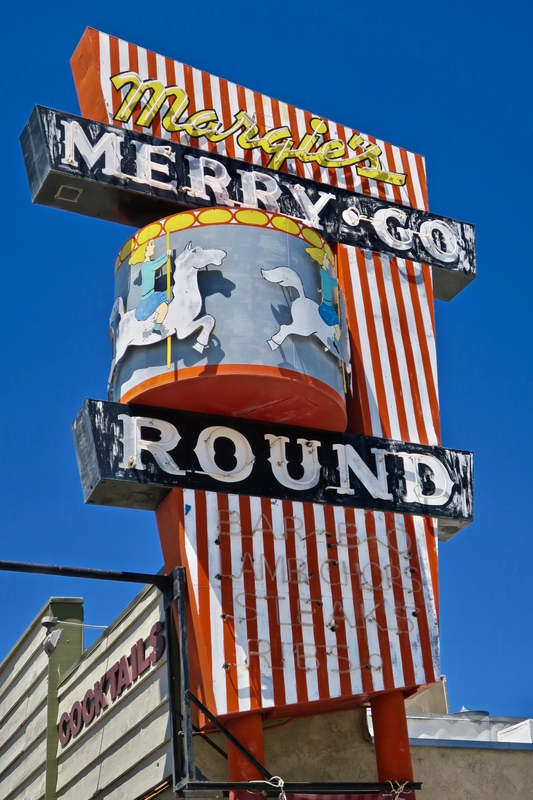 However, the Merry-Go Round is rated quite well online so, if you’re doing that run up or down beautiful U.S. Route 395 — especially if you’re in a car full of people getting fussy over not being able to agree on what to eat — this might just be the place for you. Posted in Retro/Vintage, signTagged Americana, neon, photography, restaurant, Route 395Bookmark the permalink.